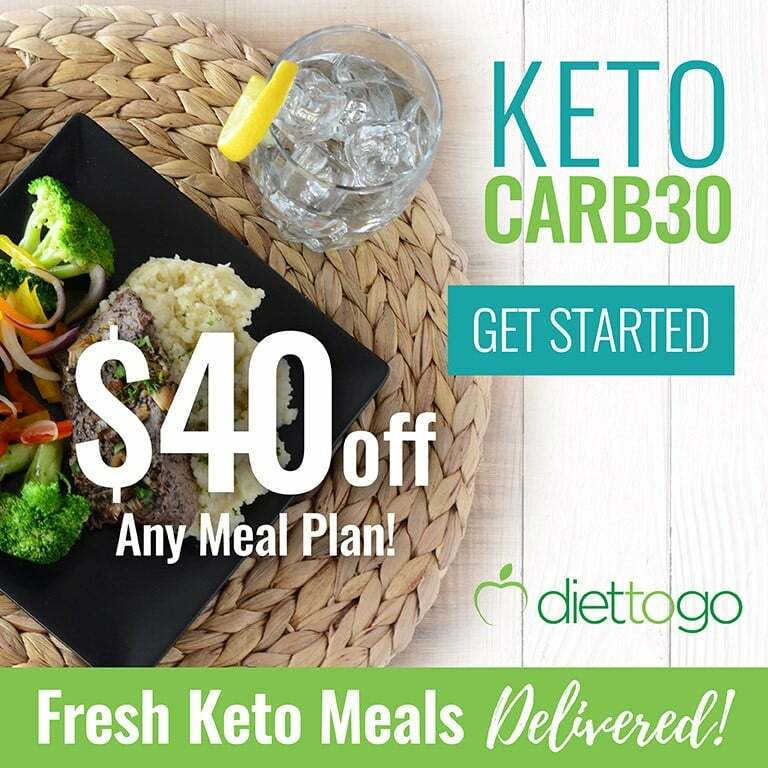 We all know that cheesecakes can be made keto friendly but not all recipes on the web have a good crust and filling. 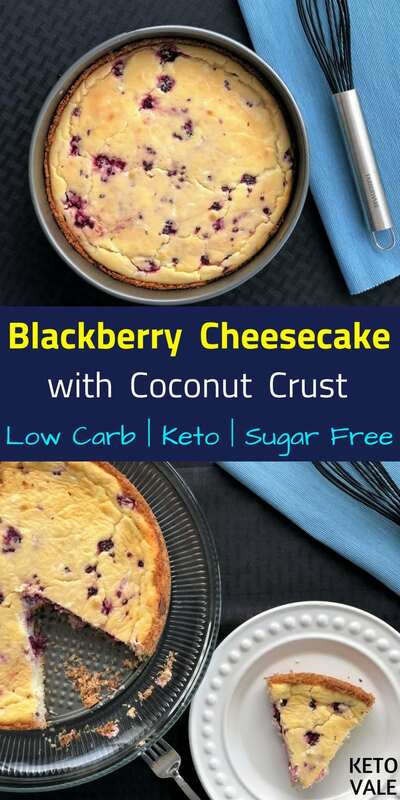 If you are looking for something unique with incredible flavor and texture, this low carb blackberry cheesecake with coconut crust is a great option for you. The coconut crust is just simply amazing! Once baked, the coconut gets all its flavors enhanced. Plus, it adds a tremendous crunchiness to this dessert. 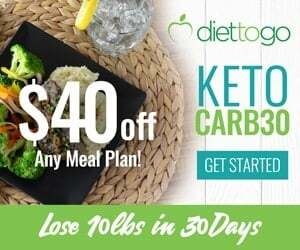 Furthermore, coconut and coconut oil have super healthy fats known as medium chain triglycerides, commonly in the form of MCT oil, which will help improve your fat burning process and mental focus and boosts your energy levels. 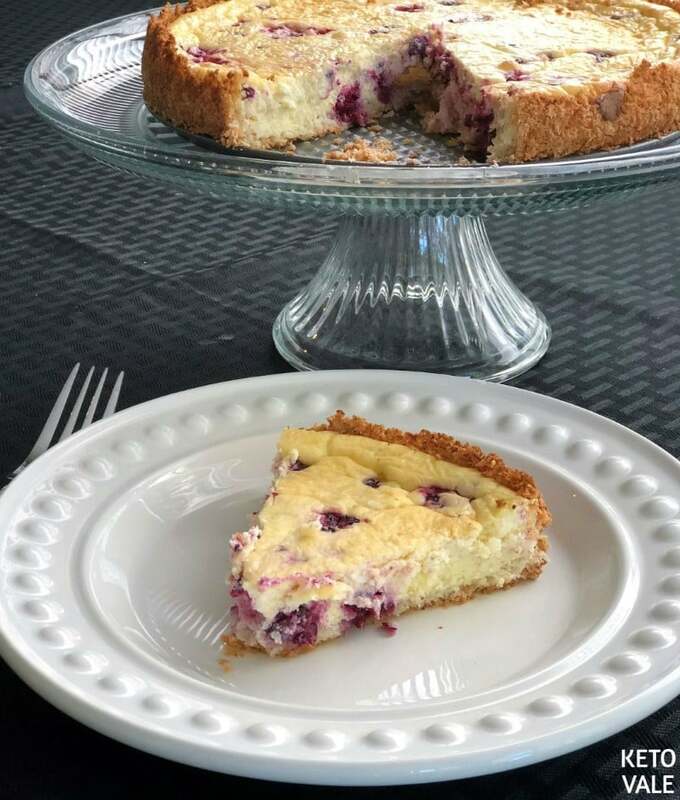 You can also use almond flour to make a almond crust and use the same fillings for the cheesecake. Some people add sweetener to both the crust and the filling. Surprisingly, in this case, the sweeter is only added to the crust and trust us, you will not miss it in the filling. 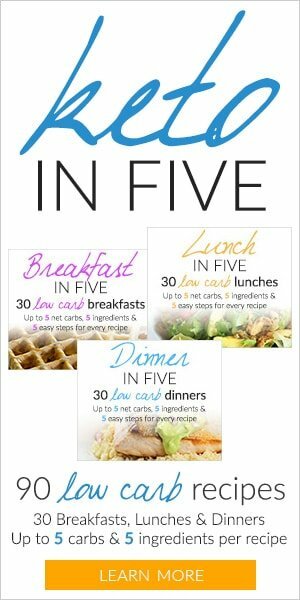 You can modify this recipe by using a mix of frozen berries, only blueberries, or raspberries. You can also add lemon extract instead of vanilla and add some lemon zests to make a lemon cheesecake. And last but not least, you can add toasted coconut to the filling and make an entire delicious coconut cheesecake. 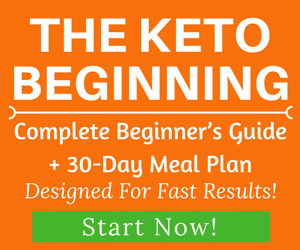 This sugar-free and gluten-free cheesecake is a great addition to your keto lifestyle! 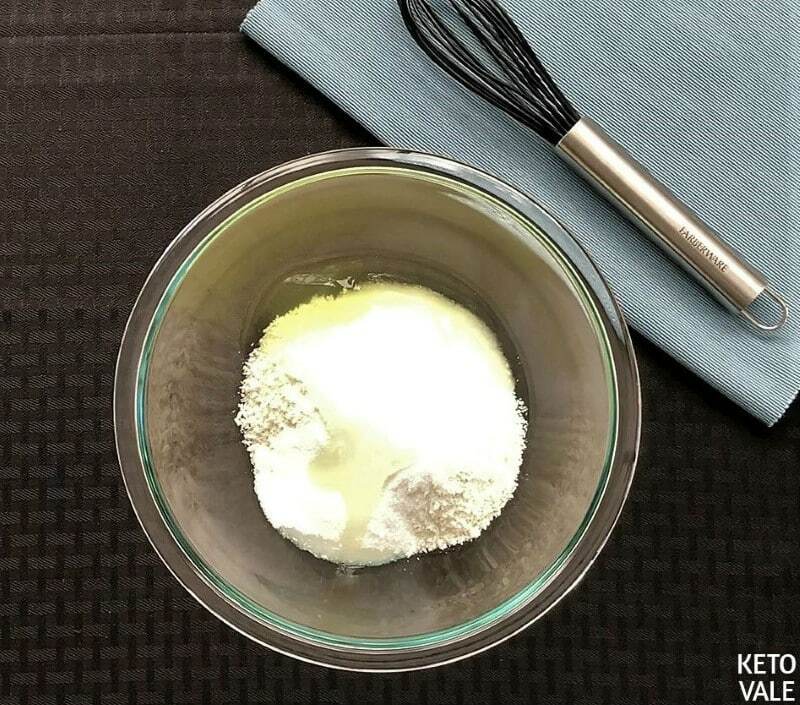 Making the crust: Combine shredded coconut with sweetener and egg whites in a bowl. Mix well. Use a 8×2 removable bottom cake pan and grease it with coconut oil. Put the crust mix in and spread around the bottom and half the height of the pan. Use your hands to press it firmly. 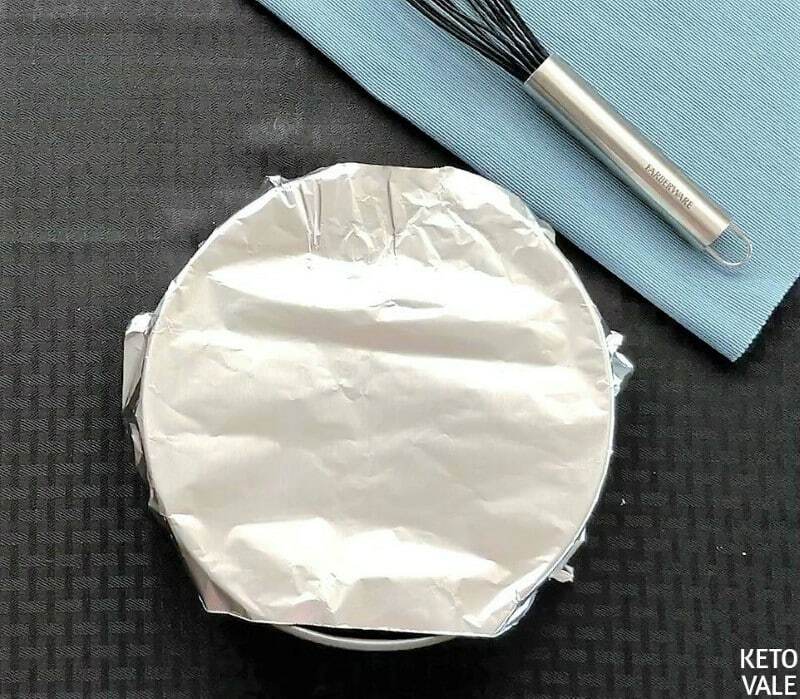 Put foil paper on top to cover it and bake for 20 minutes the remove and allow it to cool. 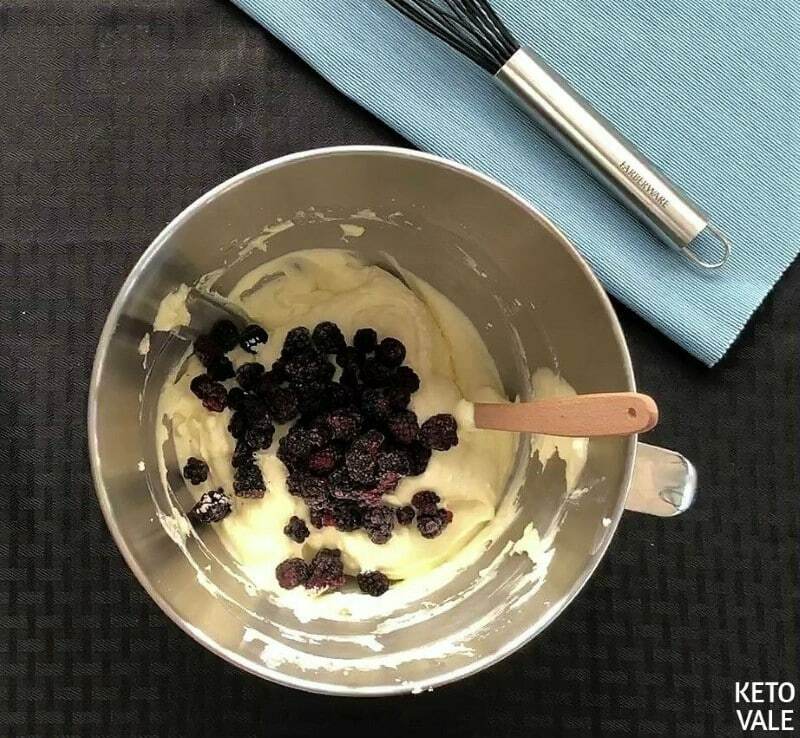 Meanwhile, prepare the fillings by adding cream cheese, egg, vanilla extract, coconut oil, butter in a mixer and beat it until smooth. Next, fold the berries into the fillings then pour the filling mixture into the crust. 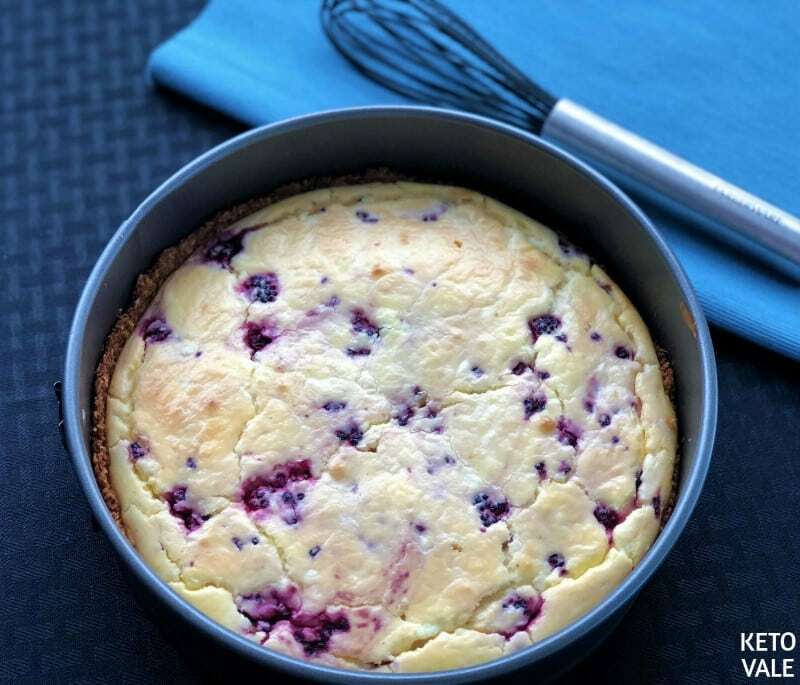 Bake the cheesecake in the oven at 350°F for 35-40 minutes. Check the center for consistency. Once cook, remove from oven, let it cool down then chill in the fridge for at least 2 hours. Cut and serve! 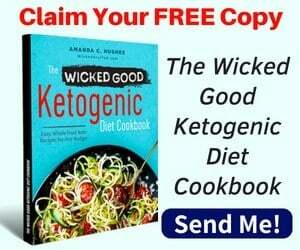 In a bowl combine the coconut, egg whites and erythritol. Grease a 8x2 removable bottom cake with coconut oil and spread the coconut mixture over it patting down with your hands. The bottom must be completely covered and half the height on the sides. Cover it with foil and bake at 350°F for 20 minutes. Let it cool. On a mixer add the ingredients for the filling except the berries and mix it all together until smooth. 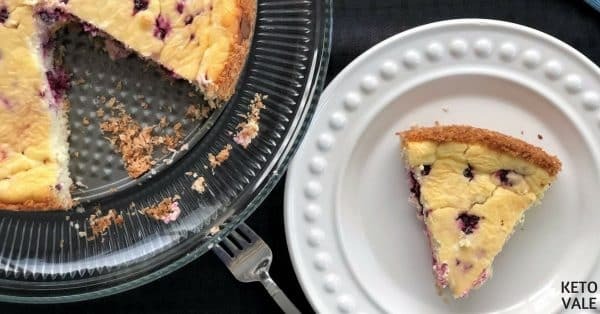 Fold in the berries and pour the mixture into the cool coconut crust. Move it back to the oven and bake at 350°F for 40 minutes. Let it cool and take it to the refrigerator for at least 2 hours. Enjoy!